Our Goal is your Approval! We are Committed to Help! 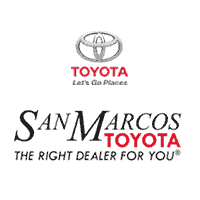 San Marcos Toyota is The Right Dealer For You, because we’ve been helping Central Texas drivers finance a Toyota for 18 years. The Toyota finance center at our family-owned and -operated Toyota dealership near Kyle, TX, is run by experienced Toyota financing professionals, who know how to help you save with Toyota lease specials and Toyota finance offers. Whether you’re a Hill Country driver with good credit, bad credit or no credit at all, the San Marcos Toyota financing team is ready to help you buy or lease a Toyota with no stress or hassle. Our Toyota finance team is happy to walk you through the benefits of buying vs. leasing a Toyota, just as we’re happy to discuss your Toyota end-of-lease options. You can quickly estimate your credit at our San Marcos Toyota dealership, and we can help you value your trade and put the money toward the purchase of a new or used Toyota. All you need to do is get pre-approved for Toyota financing online, and we’ll take care of the rest! All credit applications are accepted. Not all applicants will be approved. See dealer for details.